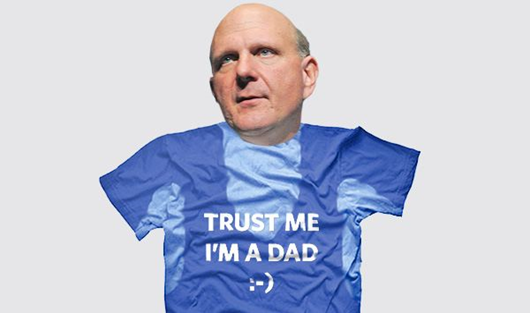 BusinessWeek recently organized a fun contest asking readers to design t-shirts for a CEO of their choice. The above little number specifically designed for Steve Balmer of Microsoft by Max B, Dan4, San Mateo, CA is based on “Steve Ballmer, Microsoft‘s passionate CEO, who is notorious for his sweaty proclamations of company loyalty—and for teaching his children to be Microsoft evangelists.” Nice. Check out Helen Walters article, When a shirt tells a tale, and a slideshow of the entire CEO collection of “designer” tees.